The perfect gumball vending machine for a Football fan! Beautifully detailed with a sports cap designed lid. 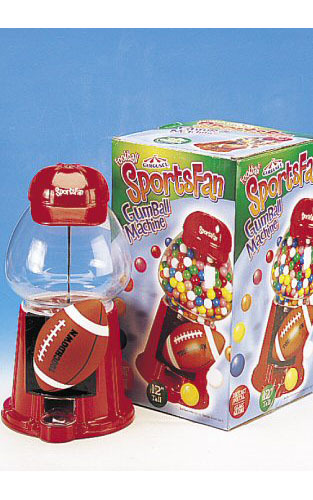 Simply turn the football handle to dispense the candy! Includes 3.3 lbs of Gumballs! This machine is a pretty sweet decoration in my living room during football season. My wife bought it for my birthday and I love it! We host football sunday at our house and this has made a great decoration in our living room for this event.